We depend on our vehicles to get us wherever we need to go. And because we rely on them so heavily, car trouble is such a stressful inconvenience. But carefully choosing a Monterey County and San Benito County auto repair shop you can trust will give you peace of mind and get your car back fast. 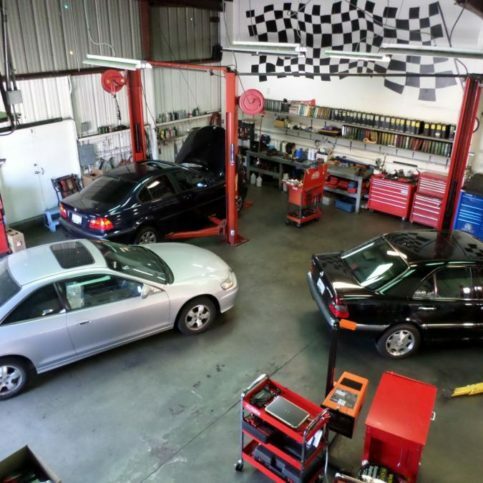 There are many car repair centers to choose from, including auto repair shops in Monterey County and San Benito County that serve the major cities of Salinas, Seaside, Monterey, Soledad and Marina, as well as all the smaller towns like Aromas, Prunedale, Lockwood, Carmel Valley and Pacific Grove Acres. So how do you choose the shop that’s right for you and your car? Research and information are the keys to success. Read the following articles for the information you need to be confident in your choice of an auto repair shop in Monterey County and San Benito County. Different auto repair mechanics have different skills, various degrees of experience and different personal philosophies about auto repair that can help or hurt you. 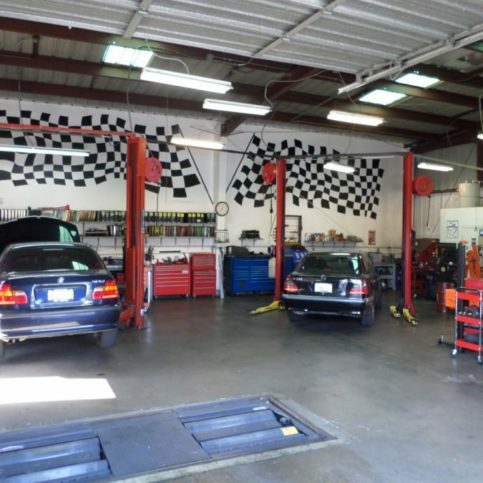 In any case, it’s your right to choose a qualified auto repair shop in Monterey County and San Benito County that will repair your vehicle correctly the first time and keep it running well over the long-term. All California auto repair shops must be licensed by the Bureau of Automotive Repair. You can check the license status of any local automotive repair shops by visiting the Bureau of Auto Repair web site. Recent violations, consumer complaints and disciplinary action will appear on their license. Diamond Certified vehicle repair shops have already been thoroughly vetted for you. But if you’re unable to choose a Diamond Certified car mechanic in your area of Monterey County and San Benito County, you’ll have to do some research yourself. Automotive technicians in Monterey County and San Benito County included in the larger cities of Marina, Soledad, Seaside, Salinas and Monterey who have earned certifications including Automotive Service Excellence (ASE) and completed advanced training may be better able to repair and maintain your vehicle according to the manufacturer’s specifications. That’s because shops and car mechanics with these industry certifications have taken additional courses and passed industry examinations proving they have knowledge and skill that other mechanics may not be able to match. 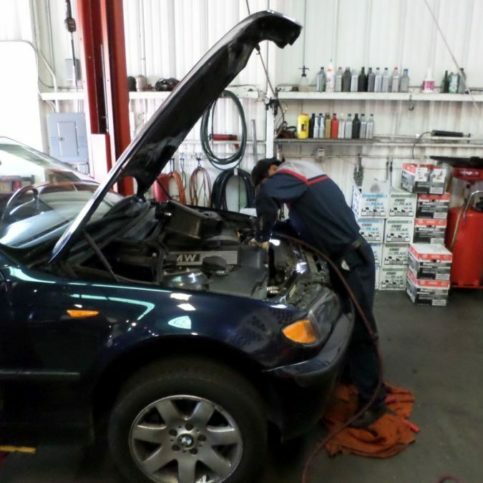 There are green auto repair shops located throughout Monterey County and San Benito County. These eco-friendly car repair centers have earned certifications and completed courses on environmentally responsible auto repair and auto maintenance techniques. Ask the auto repair shops you’re considering for a list of industry recognition and qualifications if they are important to you. Some auto repair mechanics in Monterey and San Benito counties specialize in certain makes and models while others service all common brands of vehicles. If you have a rare or specialized vehicle, you may want to talk with representatives from auto repair shops in the larger cities of Greenfield, Salinas, Monterey, Soledad, Seaside, Marina or your area of Monterey County or San Benito County that exclusively service vehicle’s like yours. However, local general repair facilities should have the correct tools, equipment and know-how to maintain and repair any vehicle they service. The quality of replacement parts is a major factor to consider when researching auto repair shops in Monterey County and San Benito County. Original Equipment Manufacturer / OEM auto parts are manufactured by the same companies that built your car’s original parts, so they’re built to fit exactly. OEM parts may be higher quality than aftermarket auto parts, which are built to serve the same function. Some discount auto repair shops sell used, salvaged or refurbished auto parts. While these used auto parts may be cheap, they usually can’t be guaranteed for safety, quality, or length of wear. Many customers think that a convenient location is also important. You don’t want to drive a long distance between your home and your auto mechanic, especially if you’re having car trouble. Your first impression of an auto repair shop can tell you a lot about the people and the business with whom you’ll be dealing. So visit the repair facility before taking in your vehicle, if possible. While you shouldn’t expect automotive repair shops to be spotless, you can expect them to be neat and well-organized, and have modern equipment and policies posted regarding their rates and warranties. It’s also important to look for an auto repair shop with staff that is courteous, attentive, helpful, and willing to answer your questions. You may not find a local auto repair shop if you live in the smaller cities of Big Sur, Hassajara Hot Springs, Old Hilltown, Penvir, Posts, Las Lomas or Elsa. Luckily, because of their ability to tow in vehicles that won’t start or need major repairs, car shops in larger cities may be able to provide auto repairs instead of leaving you stranded. 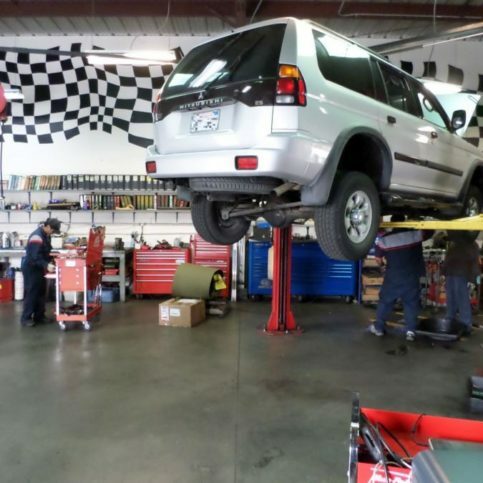 For example, auto repair shops in the Salinas area of Monterey County and San Benito County can also serve the smaller cities of Pleyto, Millers Ranch, Del Monte Forest, East Garrison and Cannery Row. Why Trust Diamond Certified Auto Repair Shops Rated Highest in Quality? Vehicles on lifts being repaired in a clean, organized auto repair shop. 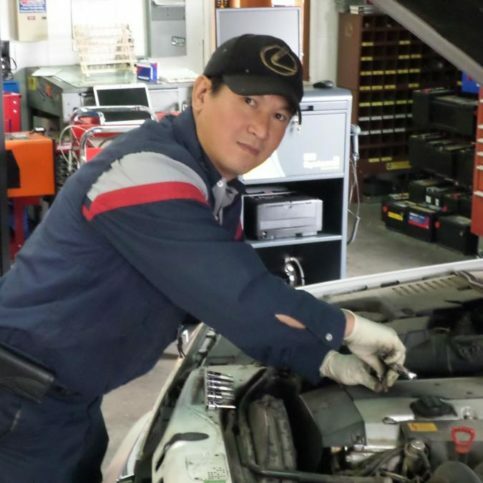 Thuan Le is an 22-year veteran of the auto repair industry and owner of T & T Auto Repair, a Diamond Certified company. He can be reached at (831) 498-9133 or by email. Originally from Vietnam, Thuan immigrated to the United States in 1994, where he put down roots in the Bay Area. After 20 years in Monterey, where he resides today with his wife and two children, he considers the North Bay his adopted home. “Not only is it a beautiful place with great weather, the people who live around here are very nice as well,” he says. Outside of work, Thuan enjoys activities such as flying remote-controlled airplanes, playing basketball with his son and going to the movies with his family. Often, however, he just likes to kick back and relax. “I work six days a week, so with only one day off, I have to be sure I take some time to recuperate,” he laughs. A: A 1987 Honda CR-X. A: Summer, because I can go outside and fly my remote-controlled airplanes. Q: If you could visit any city in the world, which would you choose? A: I’ve always wanted to visit Paris. A: I love the whole holiday season, from Thanksgiving to New Year’s. Before you start looking for an auto repair shop in Monterey County or San Benito County, it’s important to identify what you want. If you’re unsatisfied with your current auto repair facility, ask yourself what it is you are unhappy with. 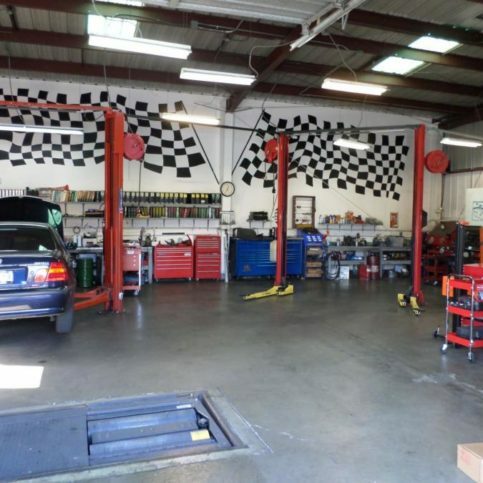 Knowing exactly what you’re dissatisfied with in your previous Monterey County or San Benito County auto shop will help you find a new auto repair shop that has all the qualities you’re looking for. You’ll have a better idea of what questions to ask to ensure your next shop is better than the last. You’ll also be aware of what can go wrong, so you’ll know to seek shops that offer high quality auto repairs. If you’re having car problems and need to have your vehicle checked out by a good auto repair shop in San Benito County or Monterey County right away, it’s in your best interest to take note of exactly what you’re experiencing before you start your search. That way, you’ll be able to gauge each auto technician’s response and decide which shop is best suited to handle your vehicle repairs. Is it intermittent or constant? If it’s an unusual sound, where is it coming from? Has your vehicle’s performance decreased? Do you have to add auto fluids more often than usual? Once you’ve evaluated your reasons for selecting an auto repair shop, the next step is to interview some local shops in Marina, Pacific Grove, Greenfield and other areas of Monterey County and San Benito County that are at the top of your list. What are the steps you take to diagnose car problems? How long will it take your auto repair center to complete my automotive repairs? If my vehicle needs additional repairs you cannot do (such as warranty repairs, auto body repairs or transmission repairs / transmission replacement), will you coordinate with other Monterey area auto repair shops to have the repairs done? If so, will I be responsible to take the car to them, or will you handle moving my vehicle? Will those other shops provide warranties, or will you cover their work? Do you have the necessary contact information on file for me in order to reach me with auto repair updates? How can you be confident that the auto repair facilities in Monterey County and San Benito County you’ve interviewed will keep their promises? You can take their word for it, or you can rely on independent research and scientific surveys. All Diamond Certified auto repair shops have undergone a ratings process that most other vehicle repair centers can’t pass. If you want quality from a vehicle repair shop in Monterey County and San Benito County and the greater Bay Area, you’ll have confidence when choosing Diamond Certified auto garages. And you’ll never be fooled by fake reviews because all research is performed by live telephone interviews of a large, random sample of real customers. So you can read Diamond Certified reports on all certified companies, including verbatim survey responses. If you can’t find a Diamond Certified car repair shop within reach, you’ll need to conduct some research of your own. It is a good idea to take a little time to check references, even if you’re in a hurry to get your car repaired. Good auto repair shops in Monterey County and San Benito County should be willing to give you a list of recent customers you can call as references. Keep in mind, though, that reference lists provided by the shops are not identical in value to the large random sample of customers surveyed during the Diamond Certified ratings process. That’s because the references shops give out aren’t randomly selected from all customers, so shops are likely just giving you a few satisfied customers to call. To help avoid them giving you only customers they know were satisfied, specifically ask for a list of their 10 most recent customers. 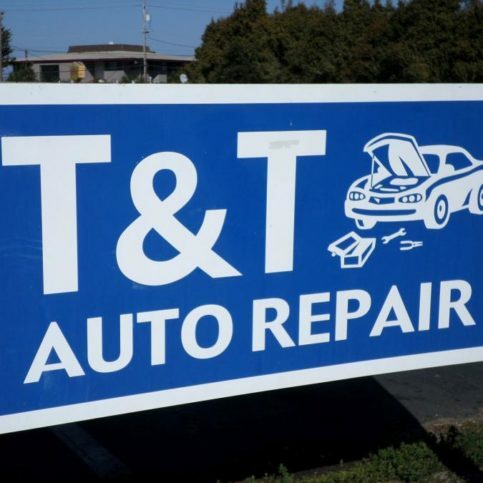 What auto repairs did _(auto repair shop name_) do for you? 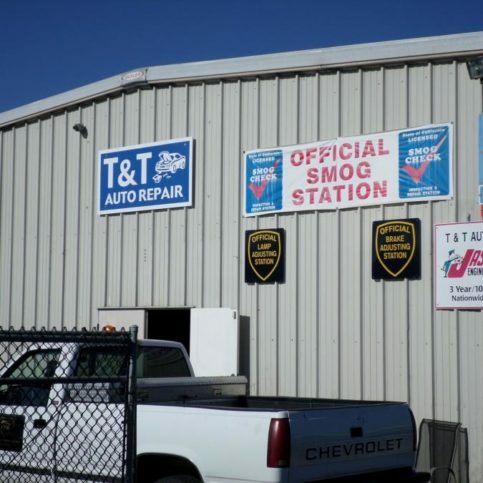 Were you satisfied with the car repairs from this Monterey County auto repair shop / San Benito County vehicle repair shop? Did the auto repair mechanics and service writers listen to and communicate with you? If you live in a smaller town such as Gabilan Acres, Fort Romie, Elkhorn, Logan, Llanada, Hudner, Metz, Sycamore Flat, Spreckels Junction or in rural South County, was your auto shop willing to tow your car or truck to their auto repair garage? Was the auto repair technicians’ turn-around time fair? Do you feel the price was reasonable for the auto repairs you had done? What did you like best about this particular Monterey County and San Benito County automotive repair shop? Would you go back to this car repair facility if your vehicle needed additional work? Would you recommend this auto repair garage to others? An unexpected breakdown can make you feel pressured to choose the nearest auto repair shop in Monterey County or San Benito County, even if you haven’t had time to find one you feel comfortable with. That’s why it’s a good idea to seek out an honest auto repair shop before you need one. Start by trying out local auto repair shops in Monterey County and San Benito County when for preventative maintenance. Get to know the car mechanics and build a working relationship with them so that you’ll know you can trust them with expensive or unexpected repairs. If possible, go to the same shop for all of your routine maintenance and repairs. That way, the auto mechanics can keep a record of your vehicle repair services, so that shop has a baseline measurement of what’s normal for your vehicle and you don’t waste money by having repairs done before they’re needed. The simplest way to choose a car repair facility is to review the notes you took during interviews with the auto repair shops and determine if one stands out from the rest. Did you talk with an auto repair shop in Monterey County / San Benito County that can satisfy your requirements for scheduling, auto repairs, part preferences, and customer service? Do the car repair shop employees communicate clearly and effectively? Does the auto repair shop seem devoted to getting your car back on the road as quickly and safely as possible? No one likes emergency car repairs, but having a local Monterey County or San Benito County auto repair shop you trust for regular vehicle maintenance will give you peace of mind when dealing with your mechanics. 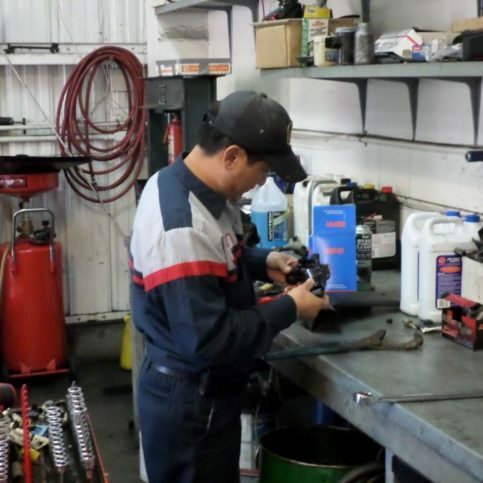 To get the best results, you’ll first want to meet with the shop’s service writer or owner and explain what the problem is. Use the notes you took so that you’re able to accurately describe the concerns you have and the symptoms you’re experiencing. Be as detailed as possible, and don’t feel rushed. It’s important to answer the service representative’s questions and listen to their suggestions and observations. If you don’t understand what they are telling you, ask for an explanation. You ought to completely comprehend the problem and the solutions before authorizing any work. All estimates must be provided in writing before any work begins. This estimate must include the total cost for all parts and labor, the method of repair and a list of all parts needed. Remember, never sign a blank work order or incomplete estimate. Sometimes a comprehensive diagnosis is needed before a repair shop can give you an accurate estimate. In this case, the estimate you sign may include just the cost of the car repair diagnosis and estimated auto repair labor cost. However, if the actual costs are more than the original estimate, the technicians must contact you before they move ahead with the repairs. When you’re satisfied with the information your Monterey County or San Benito County repair shop has given you, sign the estimate and service agreement. Verify that the repair shop has a phone number where they can reach you while your vehicle is in the shop. They must get your approval for additional work not listed on the original work order, and progress on your repairs can slow down or even stop if they can’t reach you to get consent. Likewise, if the car repair costs exceed the amount agreed upon on your estimate, the auto repair shop must get your approval before moving ahead. Your approval must be noted on the estimate and the invoice. Most mechanics in Monterey County and San Benito County including the larger cities of Salinas, Soledad, Monterey, Seaside, Hollister and Marina will allow you to see the damaged auto parts Once they’ve identified the problem or needed repairs. Remember, it’s your legal right to have damaged parts returned to you, but you have to you ask for them before or while the auto repair shop staff is writing the service request. You play a big part in the success of your automobile’s repair, even though you’re not the one doing the actual repairs. Here are a few simple steps you can take to be a good customer when you take your van, minivan, truck or car into an auto repair shop. Be clear with the auto repair representative. Let them know what the problem is, what outcome you’re expecting from the vehicle repairs and specific ways they can meet your expectations. Before you leave your car, truck or van at an auto repair shop in Monterey County and San Benito County, restate your expectations and goals, and reiterate to the auto repair technicians your understanding of the agreement. Most problems with auto repair shops occur because of a breakdown in communication. By being clear about the expectations you and the auto repair shop have, you can avoid most conflicts. Be sure your service writer has a phone number where they can reach you at all times while your car or truck is in for car repairs. Your repairs will move along more smoothly if your service writer can reach you for any necessary updates or authorizations for car repair work. Ask your service writer if they will call you with updates or if you should call to check on the progress of your vehicle repairs. When your shop contacts you, return calls promptly to keep the repairs on schedule. Pay for the car repairs promptly. Remember, a smile goes a long way. Why would you want to be a good customer? Auto repair shops in Monterey County and San Benito County appreciate customers who are undemanding, candid and easy to work with. Your good customer behavior sets the tone from your end and creates an situation conducive to a good relationship. Your repairs may very well go smoother and problems may be more easily set right. The name and physical address of the shop and their auto repair registration number. A list of all work performed, including warranty work done at no charge. An itemized list of all replaced parts. This list must state whether the parts installed were new, used, salvaged, reconditioned, or rebuilt auto parts. The total auto repair cost, including the amount charged for auto repair labor. Any applicable hazardous waste disposal fees and the shop’s Environmental Protection Agency (EPA) number. Your vehicle’s odometer reading at drop off and pick up, if you asked for the reading before signing the service agreement. You’re entitled to have original parts returned to you if you asked for them when you signed the auto repair estimate. Mechanics may not be able to return to you parts that are under warranty as they may need to be returned to the supplier, but they still are required to show you the damaged parts. The auto repair shop’s name and physical address. What the warranty covers. This should include whether the shop will replace or repair failed parts or give you a refund. Any exclusions must be explicitly stated. Your responsibility in the case of a product failure and what you need to do in order to redeem the warranty. How long the warranty is valid, and whether it expires on a specific day or if it is prorated. If you can transfer the automotive repair warranty coverage to the new owner in the event that you sell the vehicle. Before leaving the auto repair shop, confirm any warranties offered by the repair shop or the parts manufacturer. If you fail to do this before you leave the premises, you may lose out on warranty coverage or inadvertently nullify warranties with specific terms. 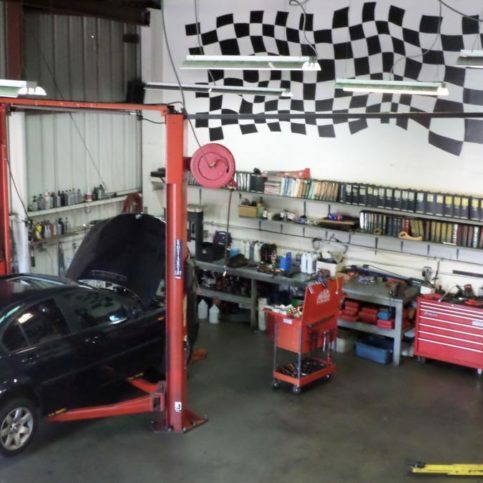 The following auto repair services are the most familiar requests for local auto repair shops in Salinas, Hollister, Monterey, Seaside, San Juan Bautista, Soledad, Marina, Pacific Grove, and other cities in Monterey County and San Benito County. Like brake repair, auto brake replacements are common car repairs in Monterey County and San Benito County. Full brake replacements, including the brake disc, drum and rotor can be costly, but may be necessary if you’ve been driving with worn or damaged brakes that have warped or damaged the brake system. Also known as a tune-up, routine vehicle maintenance is the regular check-up schedule generally recommended by vehicle manufacturers at 30-, 60-, and 90,000 mile intervals. Routine maintenance generally involves checking and replacing air filters, fuel filters, cabin filters and spark plugs. 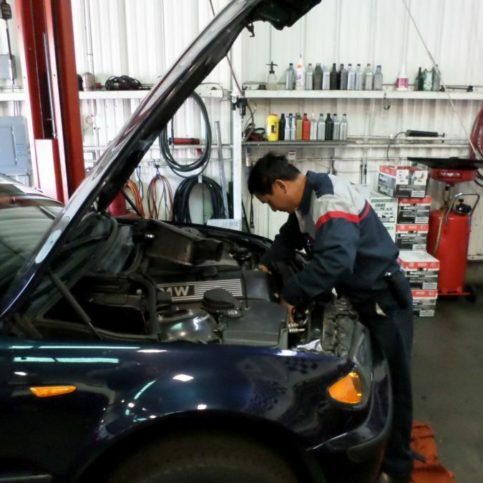 Most car mechanics in Monterey County and San Benito County will also check, flush and refill auto fluid and ensure the engine, exhaust and electrical systems are functioning correctly. These routine vehicle maintenance checks allow auto repair mechanics to prevent expensive car repairs by seeing small issues before they become big problems. As vehicles become more computerized and complex, auto electrical repairs become more common. Most auto electrical repairs are required for the alternator, the component that continually charges your battery. Vehicle starter repairs are also common. Experts recommend checking your entire auto electrical system every two years and whenever you experience drivability problems that appear to be electrical in nature. Auto electrical problems include blown fuses, burned-out headlights, and serious electrical problems that keep you from safely driving your vehicle. Because these auto repairs demand special equipment, tools and repair methods, most auto electrical repairs are best left to automobile electrical repair technicians in Monterey County and San Benito County. Clogged fuel pumps are a common problem for Monterey County and San Benito County drivers who regularly run on less than ¼ tank of fuel. Other typical auto fuel system problems include clogged fuel filters, engine flooding and engine choking sounds. Auto fuel system repairs are usually best handled by professional car mechanics who have the experience and tools to clean, repair and replace fuel system components. Often signaled by a lit Check Engine light, vehicle engine problems can also present themselves as sputtering, choking, fast or rough idling, slow acceleration or the vehicle not starting even though the ignition turns over. Because there is such a range of engine problems that can cause these symptoms, few car owners attempt do-it-yourself engine repairs. There are automobile mechanics throughout Monterey County and San Benito County that specialize in automotive engine repairs. Automobile ignition system repairs include battery, starter and car ignition replacements. Starters and ignitions can be expensive, but they are necessary in order to guarantee your car will start reliably. Mobile Mechanic / Mobile Auto Repair Mobile mechanic shops in Monterey County and San Benito County are increasingly popular. Instead of having vehicles towed to repair shops, many customers opt to have licensed mechanics come to them. From tune-ups and routine maintenance to auto electrical repairs and belt and hose replacement, mobile mechanics come to your home or place of business by appointment to service your vehicle. Vehicle belts and hoses including drive belt, fan belt, serpentine belt, timing belt, heater hose and fuel hose keep auto engines and other vehicle systems running smoothly. Signs that may indicate auto belts and hoses problems include squeaking, squealing under the hood, fluid leaks, lit warning lights and overheating engines. Below are key auto repair terms and descriptions that will help you navigate your way through your auto’s repair from beginning to end. Auto repair parts not made by the original manufacturer. Aftermarket parts are made to fit and function the same as the original parts, but they’re often less expensive than OEM parts. Some aftermarket auto parts are redesigned to increase performance. A paper or synthetic filter that blocks dust, dirt and debris as air enters the engine is called an air filter. Four-wheel drive systems increase traction on slippery roads and off-road surfaces. All-wheel drive is different from 4-wheel drive because drivers cannot disengage AWD systems. Liquid in the cooling system that dissipates heat. Antifreeze prevents freezing during winter, cools the engine in summer and protects the cooling system from corrosion and rust. Auto repairs to the electrical system of a vehicle. Auto electrical repairs may include alternator repair, auto starter repair, ignition repair, and auto electrical wiring repairs or replacement. When an engine runs at reduced speed or requires more throttle to maintain speed. A vehicle’s catalytic converter isolates exhaust particles and burns them before they leave the tailpipe. The undercarriage of a vehicle is known as the chassis. The chassis carries all power train and suspension parts. The moving suspension components mounted between the vehicle frame and the wheels. The largest engine section, the crankcase contains the crankshaft. The rod that transfers power from the engine to the transmission. 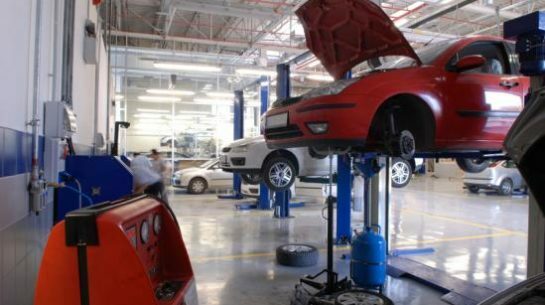 Auto repair garages that specialize in repairs on domestic vehicles. General Motors, Ford, and Chrysler (also known as The Big Three) are considered domestic vehicle manufacturers. When a vehicle’s engine runs fast while the vehicle is stopped and idling. When too much fuel is in the cylinders and makes starting difficult or impossible. Foreign auto repair shops perform repairs and maintenance on vehicles manufactured by foreign car companies, including some models built in the United States, including BMW, Toyota, Honda and Lexus. 4WD is a drive system that powers all four wheels and provides better traction during off-road use and poor weather conditions. A driving system that powers the front wheels of the vehicle. Front-wheel drive systems can be automatic or manual shift. The fuel delivery system where injectors (also known as nozzles) spray fuel into the cylinders, giving better fuel control and efficiency. The momentary loss of power on acceleration that causes a vehicle to hesitate when gaining speed. The amount of energy produced by a vehicle’s engine. The term used to describe a vehicle that is stationary but running. An auto mechanic is a professional who repairs and maintains vehicles. A mechanic who repairs vehicles on-site is considered a mobile auto repair service. Mobile auto repair shops can often do minor and major repairs and tune-ups. Auto parts made by the vehicle manufacturer. While they may cost more than aftermarket auto parts, OEM parts usually fit better, last longer and are covered by warranties. The term referring to the transmission and engine, the parts that deliver power to the vehicle. The speed at which the engine crankshaft is turning. Too-fast or too-slow RPMs are a possible sign of car trouble. The differential is important for turning and cornering. It’s the gear system that allows one wheel to rotate faster than the other. Rough idling is when the engine shakes and vibrates while the vehicle is running and stationary. Auto parts taken from recycled vehicles are called salvage auto parts. These are often inexpensive auto repair parts, but they usually don’t come with warranties because they haven’t been repaired or altered so their reliability can’t be guaranteed. Salvage auto parts are often a last resort for vehicle owners looking for hard-to-find parts for rare or older vehicles. Serpentine belts are long, continuous belts that runs several automotive engine components, indulging the alternator, power steering pump, air pump and water pump. The term for a side-to-side motion that causes a vehicle’s tires and steering wheel to shake. When a vehicle does not accelerate smoothly or quickly enough. The shock absorbers and springs that create a smoother ride by dampening the motion of a vehicle as it drives is referred to as a vehicle’s suspension. The timing belt is a toothed belt that is operated by the crankshaft and drives the camshaft in a vehicle Broken timing belts cause valves to remain open and can cause engine damage when the valve is struck and bent by a piston. The underside of a vehicle that supports and creates the framework. A hose that creates vacuum suction force in the engine. Vacuum hoses move fluids from one part of the engine to another. The pump that moves coolant (antifreeze) through the radiator and engine.